When it comes to caring for their health, men are notoriously less proactive than women. Women are more than 100 times more likely to visit a physician and, on average, live five years longer than men. Coincidence? We don’t think so. Beginning at age 50, colonoscopies are recommended every 10 years for patients who are at average risk and more frequently for those at high risk. Being the second leading cause of cancer-related deaths among men as well as one of the most preventable forms of cancer makes this a screening you do not want to skip. Prostate cancer is the most commonly occurring form of cancer among men with 1 in 7 men being diagnosed in their lifetime. Fortunately, it is also effectively treated in many cases and has a strong long-term survival rate. Recommendations on early screening for prostate cancer differ among physicians and are often based on medical and family history. For those who are recommended to receive early screening, a digital rectal exam or a blood test to measure the amount of prostate-specific antigen (PSA) may be performed. While not a standard recommended screening, men who are current smokers or who have smoked in the past should consider speaking to their physician about the possibility of a CT scan. Smoking accounts for about 80 percent of all deaths from lung cancer, and can shorten a man’s life by 12 years on average. Unfortunately, lung cancer is typically without symptoms until it has progressed to an advanced stage, greatly lowering the rate of survival. 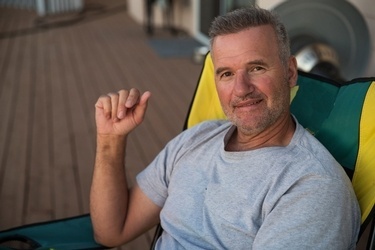 With this in mind, men over the age of 55 may benefit from a CT scan to detect any potential signs of cancer and should speak with their physician to learn more. Skin cancer is the most common form of cancer across America and has spiked dramatically over the past several decades. The rarest form, melanoma, is also the most deadly and more likely to be diagnosed in men than women. Awareness of the symptoms most often associated with melanoma is critical for early identification and removal. Men should familiarize themselves with these signs and conduct monthly skin checks. Any moles or lesions that appear troublesome should be evaluated by a dermatologist as soon as possible. While men are diagnosed with many forms of cancer in greater numbers than women, there are steps that can be taken to improve these numbers. Vigilance in healthcare with an active lifestyle, nutritious diet, and recommended medical screenings can all add up to vitality and longevity. If you are over 50 or fall into any of the at-risk categories for the cancers listed above, contact your physician to request a consultation for screening.